In Scripture, the name of the Father is given in Hebrew as the tetragrammatron “YHVH” or “YHWH.” While precise pronunciation is not known, most scholars believe the Name should be pronounced “Yah-weh.” Most modern translations replace the name of the Father with the word “LORD” in all caps. The name of the Messiah. English translations erroneously rename the Messiah to “Jesus.” This isn’t possible since there is not a “j” sound in the Hebrew language. It is important to note that names are not “translated” from one language to another. Names are to be transliterated, not translated. They are to be pronounced the same way from one language to another. The name of “Yeshua” does not change simply because a different language is being used. Many definitions are unmistakably given to us in Scripture. There is much confusion in Christianity and in the world today on how to define many things in Scripture. It is this lack of knowledge of how to define some basic Scriptural Truths that has caused much confusion. 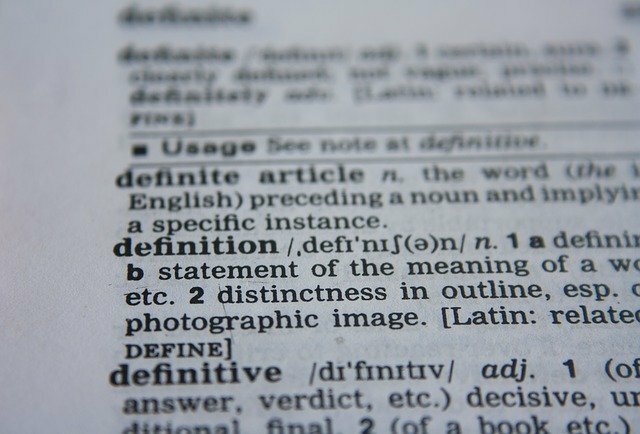 When determining the meaning of terms used in reference to Scripture it is important to use Scripture to define them. (John 1:1-3 NASB) In the beginning was the Word, and the Word was with God, and the Word was God. He was in the beginning with God. All things came into being by Him, and apart from Him nothing came into being that has come into being. (Col 1:16 NASB) For by Him all things were created, both in the heavens and on earth, visible and invisible, whether thrones or dominions or rulers or authorities– all things have been created by Him and for Him. And He is before all things, and in Him all things hold together. (John 14:9 NASB) Jesus said to him, “Have I been so long with you, and yet you have not come to know Me, Philip? He who has seen Me has seen the Father; how do you say, ‘Show us the Father’? “Sin is falling short of the glory of God. We sin when we do not do what God wants us to do, or when we do what He does not want us to do…. The apostle Paul said that “whatever is not from faith is sin” (Romans 14:23). There are many areas where we have to ask ourselves if what we are doing is right or wrong. To one person something may seem to be all right, while to someone else, it might not be. If that something causes one person to fall short of the grace of God then no one should partake in it. (1 Sam 15:24 NASB) Then Saul said to Samuel, “I have sinned; I have indeed transgressed the command of the LORD and your words, because I feared the people and listened to their voice. (Dan 9:11 NASB) “Indeed all Israel has transgressed Thy law and turned aside, not obeying Thy voice; so the curse has been poured out on us, along with the oath which is written in the law of Moses the servant of God, for we have sinned against Him. (Rom 3:20 NASB) because by the works of the Law no flesh will be justified in His sight; for through the Law comes the knowledge of sin. (Rom 4:15 NASB) for the Law brings about wrath, but where there is no law, neither is there violation. (James 2:9 NASB) But if you show partiality, you are committing sin and are convicted by the law as transgressors. Sin is breaking the Torah. It is that plain and simple. (2 John 1:6 NASB) And this is love, that we walk according to His commandments. This is the commandment, just as you have heard from the beginning, that you should walk in it. (John 14:15 NASB) “If you love Me, you will keep My commandments. (John 15:10 NASB) “If you keep My commandments, you will abide in My love; just as I have kept My Father’s commandments, and abide in His love. (John 15:14 NASB) “You are My friends, if you do what I command you. (Rom 13:8 NASB) Owe nothing to anyone except to love one another; for he who loves his neighbor has fulfilled the law. (Rom 13:10 NASB) Love does no wrong to a neighbor; love therefore is the fulfillment of the law. (1 John 5:3 NASB) For this is the love of God, that we keep His commandments; and His commandments are not burdensome. (Exo 20:6 NASB) but showing lovingkindness to thousands, to those who love Me and keep My commandments. (Deu 10:13 NASB) and to keep the LORD’S commandments and His statutes which I am commanding you today for your good? (Deu 11:1 NASB) “You shall therefore love the LORD your God, and always keep His charge, His statutes, His ordinances, and His commandments. (2 Cor 5:21 NASB) He made Him who knew no sin to be sin on our behalf, that we might become the righteousness of God in Him. (Deu 6:25 NASB) “And it will be righteousness for us if we are careful to observe all this commandment before the LORD our God, just as He commanded us. (Lev 18:5 NASB) ‘So you shall keep My statutes and My judgments, by which a man may live if he does them; I am the LORD. (Prov 12:28 NASB) In the way of righteousness is life, And in its pathway there is no death. (Ezek 20:11 NASB) “And I gave them My statutes and informed them of My ordinances, by which, if a man observes them, he will live. (James 2:24 NASB) You see that a man is justified by works, and not by faith alone. (James 2:25 NASB) And in the same way was not Rahab the harlot also justified by works, when she received the messengers and sent them out by another way? (James 2:26 NASB) For just as the body without the spirit is dead, so also faith without works is dead. (1 John 3:7-9 NASB) Little children, let no one deceive you; the one who practices righteousness is righteous, just as He is righteous; the one who practices sin is of the devil; for the devil has sinned from the beginning. The Son of God appeared for this purpose, that He might destroy the works of the devil. No one who is born of God practices sin, because His seed abides in him; and he cannot sin, because he is born of God. Righteousness is therefore a two stage process. The righteousness of Messiah is imputed upon the chosen ones which are those who truly believe in Him. After that, this saving faith must produce the works commanded in Torah. If those works are not present, as James says, then that faith is dead. If the works of Torah are not present in ones life, then that person does not truly have faith in Yeshua Messiah. (Heb 8:8-9 NASB) For finding fault with them, He says, “BEHOLD, DAYS ARE COMING, SAYS THE LORD, WHEN I WILL EFFECT A NEW COVENANT WITH THE HOUSE OF ISRAEL AND WITH THE HOUSE OF JUDAH; NOT LIKE THE COVENANT WHICH I MADE WITH THEIR FATHERS ON THE DAY WHEN I TOOK THEM BY THE HAND TO LEAD THEM OUT OF THE LAND OF EGYPT; FOR THEY DID NOT CONTINUE IN MY COVENANT, AND I DID NOT CARE FOR THEM, SAYS THE LORD. (Exo 19:5-8 NASB) ‘Now then, if you will indeed obey My voice and keep My covenant, then you shall be My own possession among all the peoples, for all the earth is Mine; and you shall be to Me a kingdom of priests and a holy nation. ‘These are the words that you shall speak to the sons of Israel.” So Moses came and called the elders of the people, and set before them all these words which the LORD had commanded him. And all the people answered together and said, “All that the LORD has spoken we will do!” And Moses brought back the words of the people to the LORD. The difference between the first covenant and the second covenant is that the first covenant was conditional upon obedience. Now the law (Torah) is written on our hearts and in our minds. 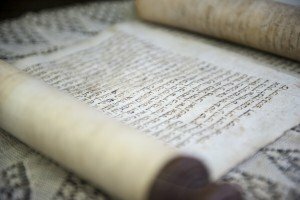 However, Torah itself doesn’t change. The first covenant was an effort on the part of Israel to be obedient to Elohim through their personal efforts and they failed. The second covenant does not embody anything new in content, but is different in that Elohim places His Spirit within us in and He gives us a desire to obey His Torah. Obedience to Torah becomes the love of our life because it is pleasing to Him. Elohim plants His Spirit within us and that establishes forever a redemption that will suffice before Yahweh. (Gal 5:16-18 NASB) But I say, walk by the Spirit, and you will not carry out the desire of the flesh. For the flesh sets its desire against the Spirit, and the Spirit against the flesh; for these are in opposition to one another, so that you may not do the things that you please. But if you are led by the Spirit, you are not under the Law. (Ezek 36:25-27 NASB) “Then I will sprinkle clean water on you, and you will be clean; I will cleanse you from all your filthiness and from all your idols. “Moreover, I will give you a new heart and put a new spirit within you; and I will remove the heart of stone from your flesh and give you a heart of flesh. “And I will put My Spirit within you and cause you to walk in My statutes, and you will be careful to observe My ordinances. (Rom 8:3 NASB) For what the Law could not do, weak as it was through the flesh, God did: sending His own Son in the likeness of sinful flesh and as an offering for sin, He condemned sin in the flesh, in order that the requirement of the Law might be fulfilled in us, who do not walk according to the flesh, but according to the Spirit. (Rom 8:12-14 NASB) So then, brethren, we are under obligation, not to the flesh, to live according to the flesh– for if you are living according to the flesh, you must die; but if by the Spirit you are putting to death the deeds of the body, you will live. For all who are being led by the Spirit of God, these are sons of God. (Num 18:21-28 NASB) “And to the sons of Levi, behold, I have given all the tithe in Israel for an inheritance, in return for their service which they perform, the service of the tent of meeting.“And the sons of Israel shall not come near the tent of meeting again, lest they bear sin and die. “Only the Levites shall perform the service of the tent of meeting, and they shall bear their iniquity; it shall be a perpetual statute throughout your generations, and among the sons of Israel they shall have no inheritance. “For the tithe of the sons of Israel, which they offer as an offering to the LORD, I have given to the Levites for an inheritance; therefore I have said concerning them, ‘They shall have no inheritance among the sons of Israel.’” Then the LORD spoke to Moses, saying, “Moreover, you shall speak to the Levites and say to them, ‘When you take from the sons of Israel the tithe which I have given you from them for your inheritance, then you shall present an offering from it to the LORD, a tithe of the tithe. ‘And your offering shall be reckoned to you as the grain from the threshing floor or the full produce from the wine vat. ‘So you shall also present an offering to the LORD from your tithes, which you receive from the sons of Israel; and from it you shall give the LORD’S offering to Aaron the priest. The only reason the Levites get a portion of the tithe is because their lives were dedicated to Tabernacle service and they were not given land to own in Israel. Their service to the Tabernacle consisted of managing the various offering (sacrifices) to Elohim, as well as maintenance and upkeep of the Tabernacle. (Deu 14:22-29 NASB) “You shall surely tithe all the produce from what you sow, which comes out of the field every year. “And you shall eat in the presence of the LORD your God, at the place where He chooses to establish His name, the tithe of your grain, your new wine, your oil, and the first-born of your herd and your flock, in order that you may learn to fear the LORD your God always. “And if the distance is so great for you that you are not able to bring the tithe, since the place where the LORD your God chooses to set His name is too far away from you when the LORD your God blesses you, then you shall exchange it for money, and bind the money in your hand and go to the place which the LORD your God chooses. “And you may spend the money for whatever your heart desires, for oxen, or sheep, or wine, or strong drink, or whatever your heart desires; and there you shall eat in the presence of the LORD your God and rejoice, you and your household. “Also you shall not neglect the Levite who is in your town, for he has no portion or inheritance among you. “At the end of every third year you shall bring out all the tithe of your produce in that year, and shall deposit it in your town. “And the Levite, because he has no portion or inheritance among you, and the alien, the orphan and the widow who are in your town, shall come and eat and be satisfied, in order that the LORD your God may bless you in all the work of your hand which you do. The tithe is for caring for those among us that are unable to care for themselves. (Deu 26:12-13 NASB) “When you have finished paying all the tithe of your increase in the third year, the year of tithing, then you shall give it to the Levite, to the stranger, to the orphan and to the widow, that they may eat in your towns, and be satisfied “And you shall say before the LORD your God, ‘I have removed the sacred portion from my house, and also have given it to the Levite and the alien, the orphan and the widow, according to all Thy commandments which Thou hast commanded me; I have not transgressed or forgotten any of Thy commandments. Those that wish to abolish the Torah of Elohim are also removing provisions for those who are in need among us also. The tithe is not for building bigger barns, churches, gymnasiums, and gathering places. The tithe is not for putting on radio or television programs. The tithe is not even for alleged “mission” work. If one wishes to donate to those things, then that is their business. But it cannot be called a “tithe.” To do so is to steal from Elohim. There are other definitions plainly given to us in Scripture, but this is a good start for a believer to dwell upon.